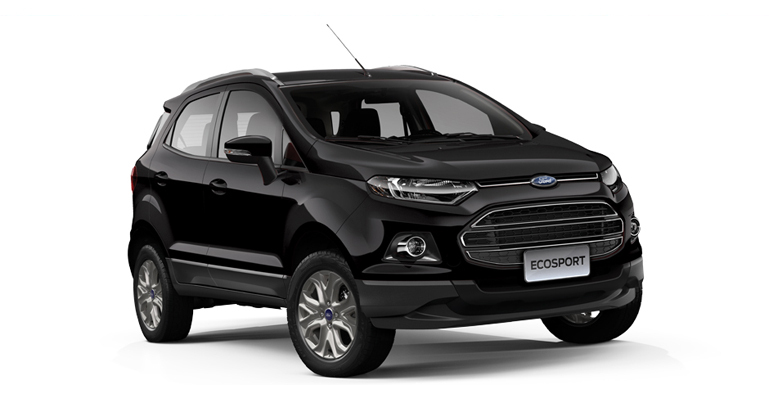 Ford's upcoming and much awaited Compact Crossover - "EcoSport" after being launched in many South American countries like Brazil and Argentina. The car is headed for a display at Geneva Motors show and will also be very soon launched in markets like India and China. Ford's EcoSport will be launched in various countries including Europe, South East Asia, Middle East, Africa, South America and even Australia. The car in India, would be available in both gasoline and diesel versions with 1.0L EcoBoost engine which is slated to deliver 123 bhp of power and 1.5L DV5 diesel engine. Ford's Indian factory at Chennai is going to be major export hub and will be produced at its Chennai's factory, thereby due to huge volumes, the cost of the car could be kept low. Ford has also informed that the company is working hard on reducing the prices of the car by heavily localizing this and hence could launch the base petrol variant in the bracket of 5 lac. In case, this is true, it would give a strong competition to the current hatchback market, leave apart sedan segment.